1. 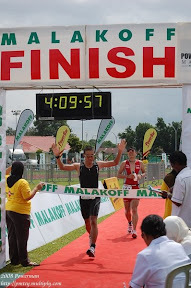 Powerman Asian Duathlon Championship, Putrajaya, Malaysia. Events that I have registered and paid for 2013 are Singapore Urbanathlon (March) and Xterra Malaysia (April). Other events I’m thinking doing it are Bali XC Marathon in June, Powerman Malaysia (November), Tour de Bintan (November). For 2013, most probably I will not do as much cycling race locally as I will be one of the spectators/organizers (semi-retired).